IT'S SUMMER TIME, LET'S GO RIVER TUBING YUMA! The Yuma River Tubing & float down company offers tube rentals and van rides from West Wetlands Park in Yuma, AZ up the Colorado River to Gateway Park or the confluence of the Gila and Colorado Rivers. 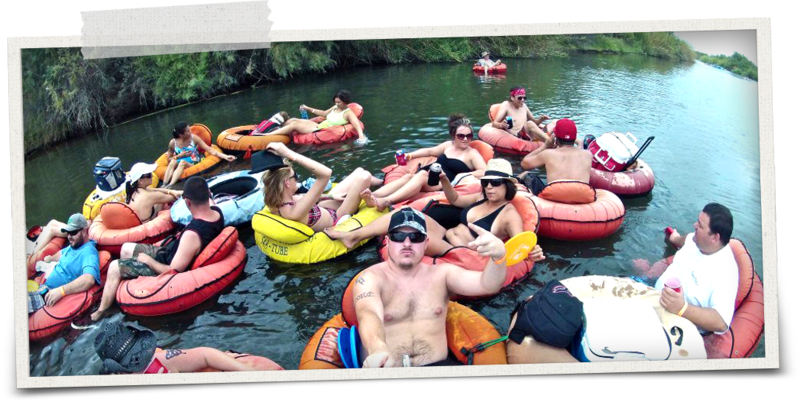 The River Tubing Season is here!!! Is everybody ready to tube with us again this year? We have been getting a lot of calls lately. Please remember, we are a seasonal business. We are open from April 1st-September 30th. YRT is ready to see all the smiles from our customers as they exit the Colorado at the boat ramp. The city has built a new beach at West Wetlands so the exit point will is very visible. See everybody soon!!! Enjoy a scenic and fun trip floating the Colarado River during your stay in Yuma. The Mighty Colorado River was a source for Yuma's growth during the early days, now it is a source of relaxation and adventure for those who float her. We offer three different floats this year. A 5 mile, 2 1/2 mile and our 1 mile Happy Hour float. No matter how long you have to relax, we have the solution for you! See our About page for more information on the different float trips available. We are located at The Yuma West Wetlands Park. We provide the tubes, the coolers and a ride up the river. Just bring drinks, snacks, and ice. Then relax as you float your way down the Colorado River back to the park. Dogs and children welcome too. NO GLASS containers. Remember to bring sunblock, sunglasses, or large brimmed hats. No glass is allowed on the river, plastic and aluminum are okay.